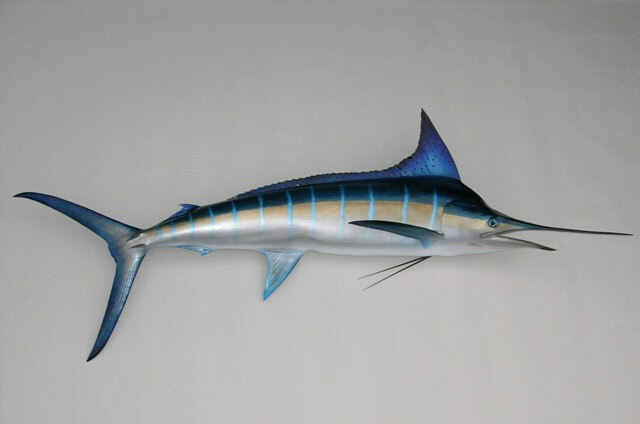 The striped marlin is a small species of marlin found in tropical to temperate Indo-Pacific oceans near the surface. 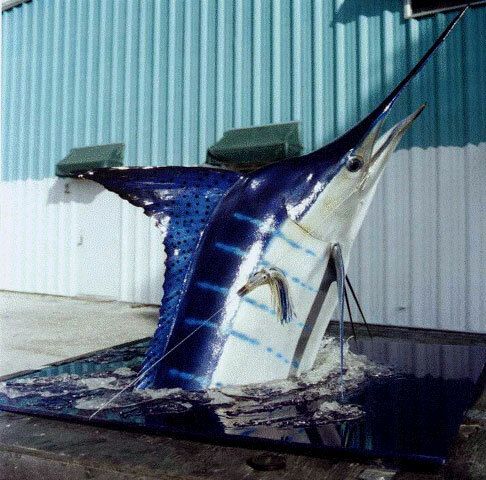 It is a desirable commercial and game fish with a record weight of 420 lb (190 kg) and a maximum length of 13.8 ft (4.2 m). 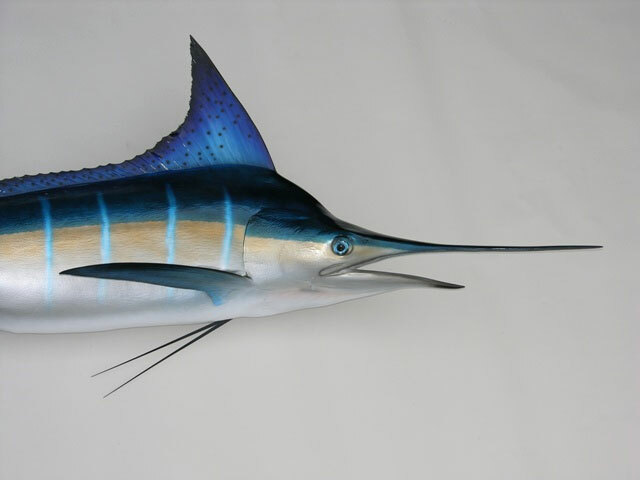 The striped marlin is a predator that hunts during the day in the top 300 feet or so of the water column, often near the surface. One of their chief prey is sardines.